Use this eTool to randomly generate a number. Click the box at right to generate a random integer from 1 to 20. Player Y wins if Player X does not. Investigate how the generator works. 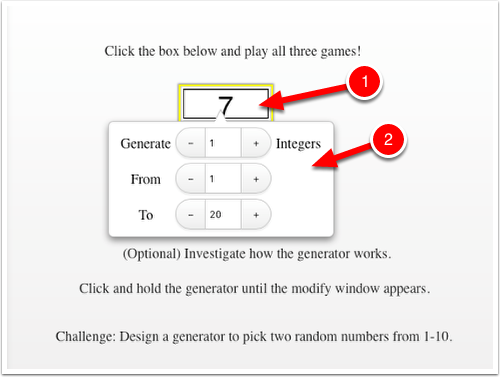 Click and hold the random number generator box until the modify window appears. Enter the desired numbers in the modify window. 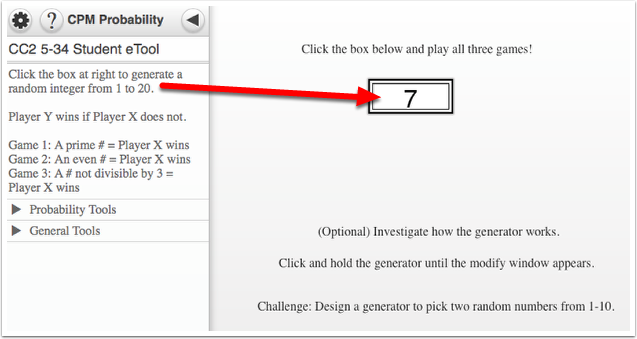 Challenge: Design a generator to pick two random numbers from 1-10.